This badge was issued to Mehmet Deveci on 28 Jan 2015. 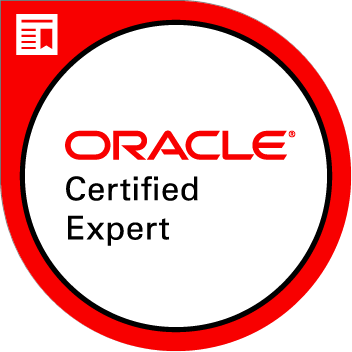 An Oracle Certified Expert, Oracle Real Application Clusters 11gR2 and Grid Infrastructure Administrator has demonstrated skills in Oracle Grid Infrastructure and RAC Administration, installation, configuration and performance management. He or she can also install, maintain and configure Grid Infrastructure, and has proven skills administering Oracle Clusterware.